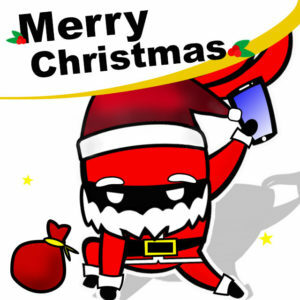 Please note: We will open through the Christmas to New Year period for all your phone repair needs. *Please note we will be open on Easter Saturday 9-5, but will close Easter Friday and Monday. We will resume our normal hours starting on Tuesday, the 18th April. Thanks to a new shipment of screens arriving today, we are happy to announce our specials for the rest of March. Special are Available at both our Willetton & Osborne Park stores until the end of March or until stock runs out! 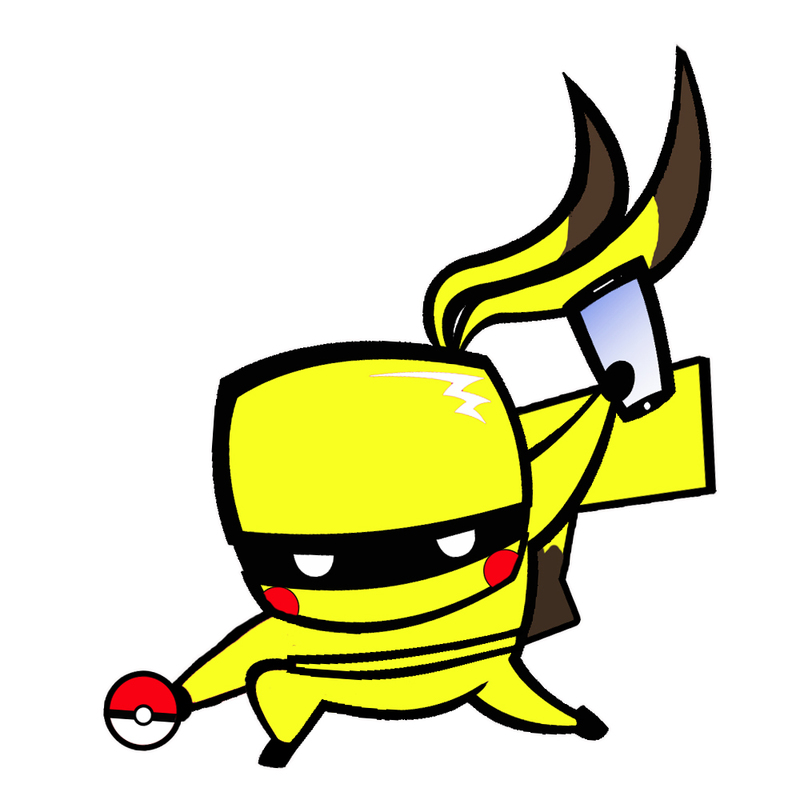 Did you know that Phone Ninja now repairs the Surface Pro? 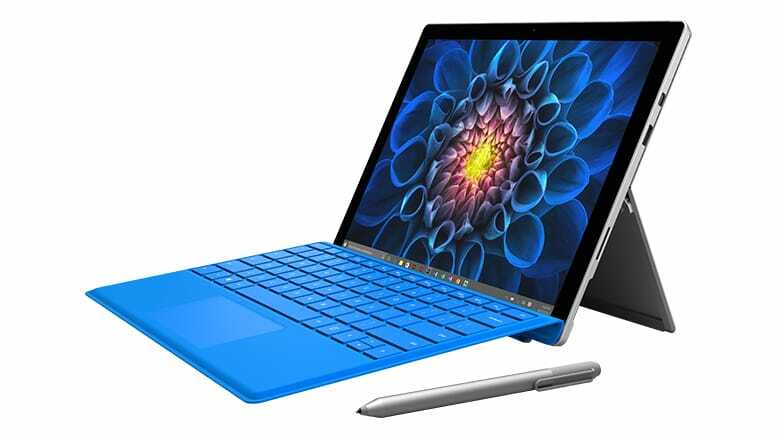 We stock screens for most Pro models as well as the Surface RT! Drop into any of our stores for a repair or call 1300 03 03 96 today. To celebrate the 10 year anniversary of the iPhone, Phone Ninja is happy to announce the following specials for the month of January. Available at both our Willetton & Osborne Park stores until the end of January or until stock run out! Christmas Specials at Phone Ninja! While we specialize in repairs, we also stock a wide range of accessories including tempered glass, heavy-duty cases, batteries, charging kits, and other mobile phone accessories at both our Willetton & Osborne Park stores! iPad Air Touch Screen Replacements* (iPadAir 2 not included) are now just $129 installed until the end of November or while stocks last, available at both our Willetton & Osborne Park stores. Please note that the original iPads (iPad 2, 3, 4) are also just $129 replaced! *Special does not include the iPad Air 2 (the version with touch ID) which uses a fused touch screen to LCD. Our Osborne Park store is now open! 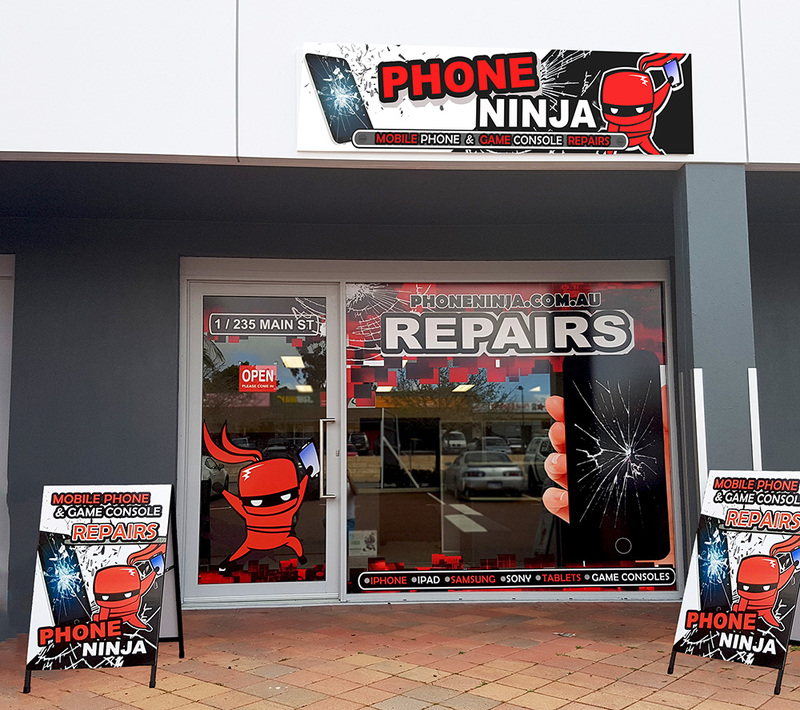 Phone Ninja is pleased to announce the opening of our second store at unit 1, 235 Main St, Osborne Park. 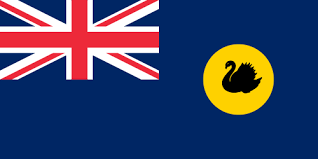 We hope to better service our North of the river Perth customers with a store conveniently located a minute off the Freeway and near the intersection of Hutton St and Main St! Please be very careful with your Samsung Note 7’s Everyone! He might not be the only one! 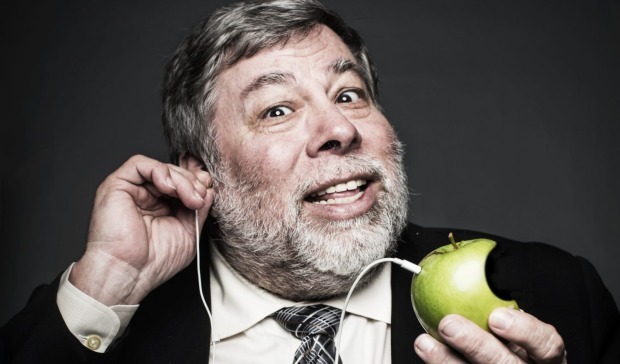 Apple co-founder Steve Wozniak is angry that the iPhone7 will ditch the headphone port for wireless-only. 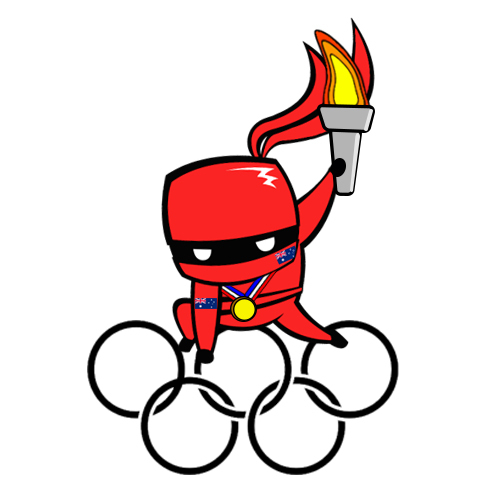 Don’t forget that our website has all our prices online. 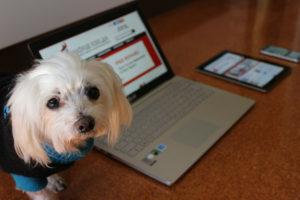 You can even mail-us in your device, or book an appointment for an in-store repair, and it’s so easy even a dog can use it!. Channel 7’s Premium ‪Olympic‬ app will offer 36 channels and over 3,000 hours of HD broadcasts. 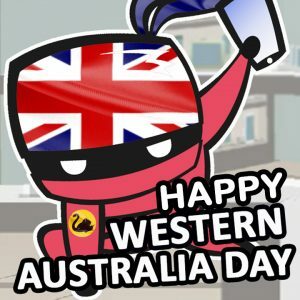 Replays will also be available as well as a live news channel so make sure that your phone & tablet are fixed at Phone Ninja so you can watch Australia‬ go for gold, on the go! We are looking for a mobile phone repair technician, whether experienced or someone with good customer service skills who we can train. We will also consider juniors with a good attitude. ‪ Please see http://phone-repairs-perth.com.au/tech/ and DO NOT call our store as these employees are not involved in the hiring process. September 16th will be the ‪‎Apple‬ launch day for the ‪iPhone7‬.. Mark it down in your calendar! 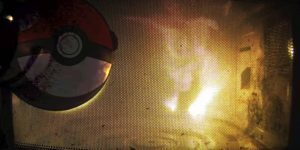 Don’t throw your phone to catch ‪Pokemon‬. You will break your phone, not catch ‪pikachu‬! Want to convert your Android mobile phone into a Gameboy? 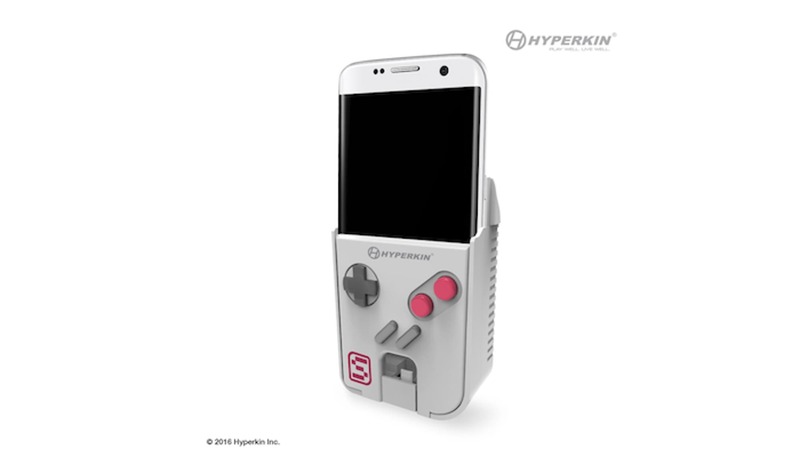 Well Hyperkin have a solution, and it’s launching this December for $59 US! 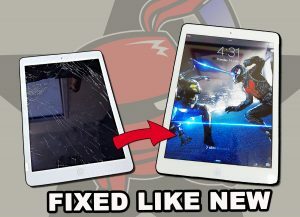 Your ‪iPad‬ fixed like new!!! At Phone Ninja we repair a variety of iPads including the Air and Mini! Warning: Pokemon Go Hack Creates Fire! 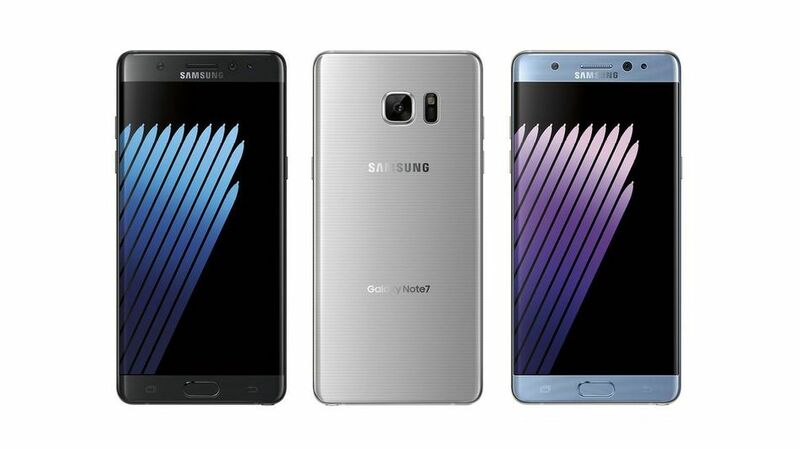 The Galaxy Note 6 is no longer! Thankfully that’s because the ‪Note7‬ is coming instead, so that the name matches the S7! Smashed your mobile phone playing ‪‎PokemonGo‬ ? 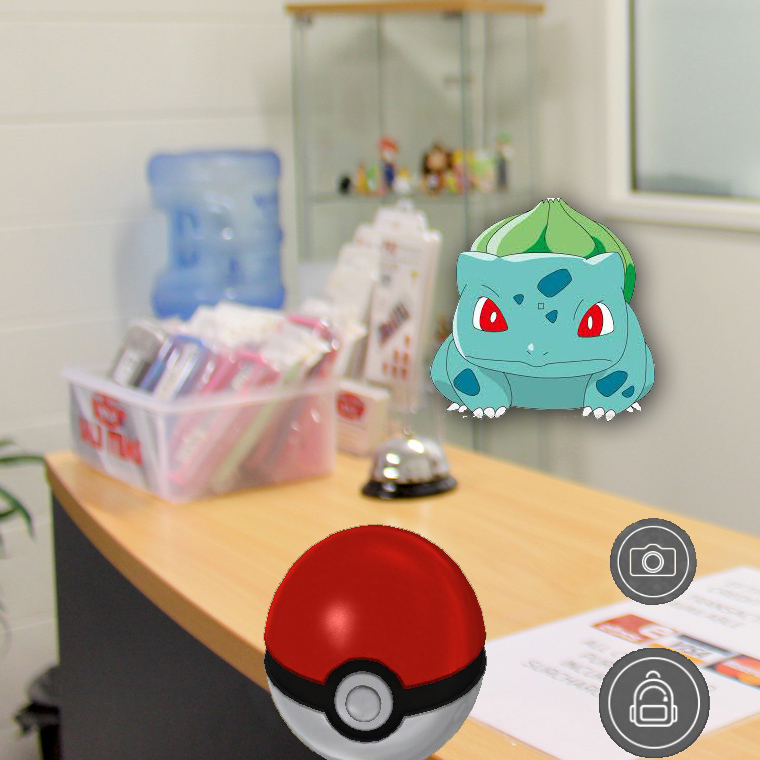 We’ll have you back catching ‪Pokemon‬ in no time! Also check out our range of accessories including tempered glass and protective cases. 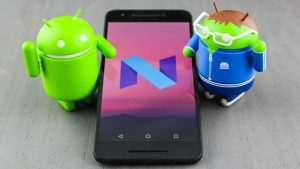 Android ‪Nougat‬ OS aka “Android 7” is now BETA and available for download on Google Nexus devices only. The upgrade to Android Marshmallow will hopefully be available on Samsung Galaxy, Sony Xperia, & other devices with a few weeks! 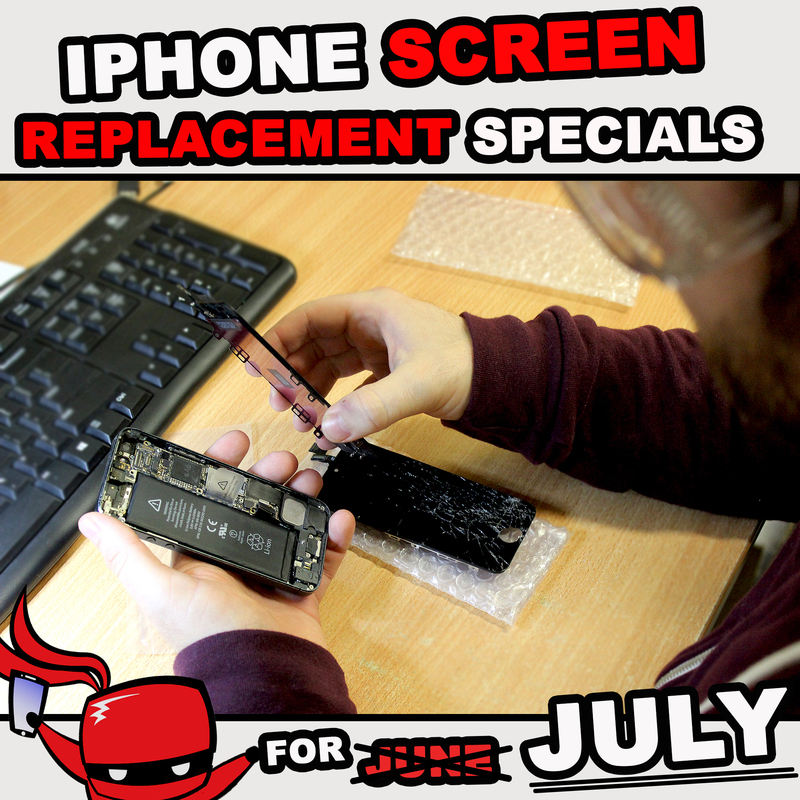 Due to popular demand, we have decided to extend our iPhone screen repair specials into July! 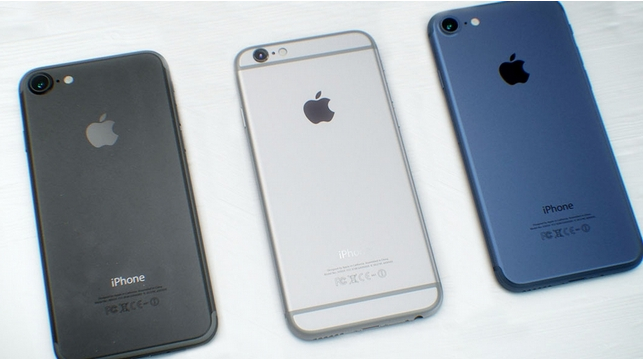 All iPhone 5 models (inc. 5S, 5C) $99 & iPhone 6 $159 !!! 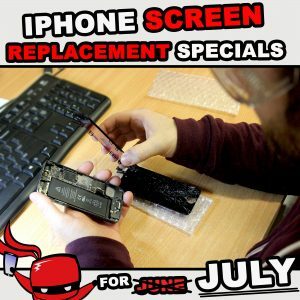 Our iPhone screen ‪repair‬ specials* end this Thursday so get in quick! 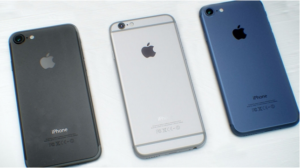 All iPhone 5 models (inc. 5S, 5C) $RING & iPhone 6 $RING !!! *Valid for June 2016 only. Not be used in conjunction with any other specials or discounts! 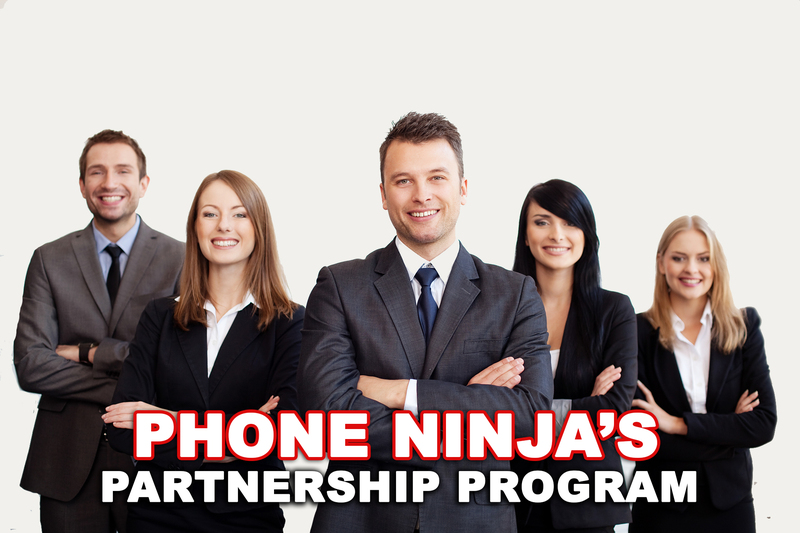 Signup for our partnership program today! 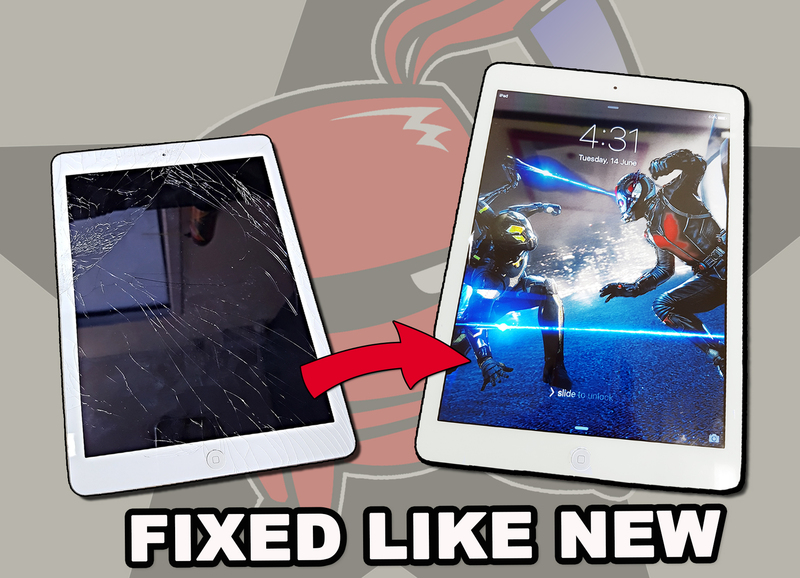 Your iPad or any Apple device fixed like new at Phone Ninja! 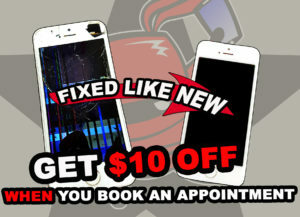 See more info… iPhone Screen Replacement specials at Phone Ninja! 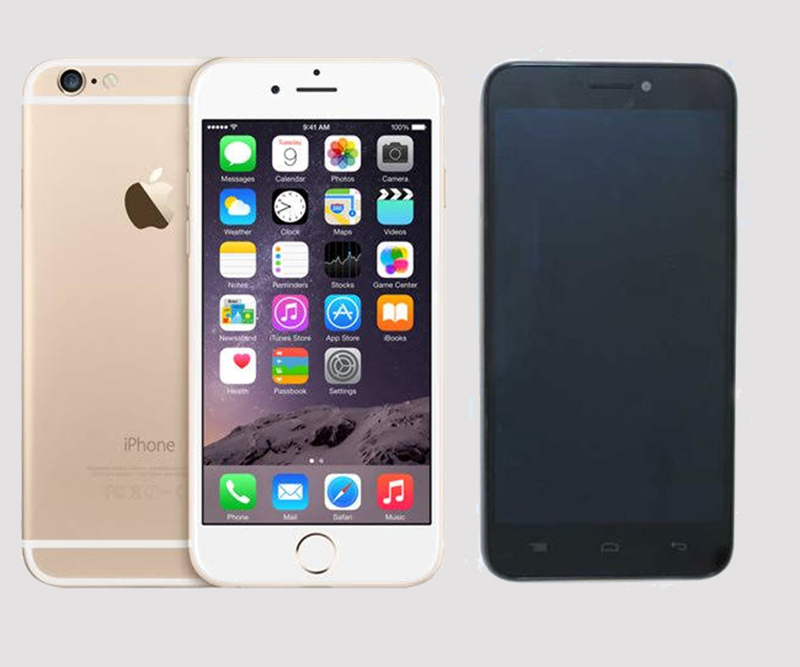 iPhone 5 / 5C/ 5S – $RING iPhone 6 $RING iPhone 4 / 4S $RING *Specials are for June 2016 only. Not be used in conjunction with any other specials or discounts. Samsung is planning to release foldable cellphones in 2017. One such design has a 5-inch display, but once unfolded, becomes a 8-inch “tablet”! 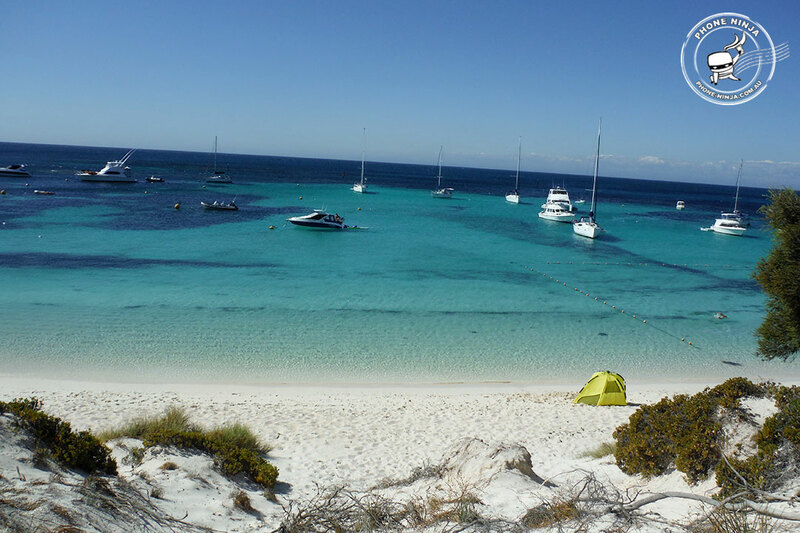 Find out more… WA Day Trading hours. Saturday 4th June – 9am – 5pm Sunday 5th June – Closed Monday 6th June- Closed ( WA Day) Tuesday 7th June – 9am – 6pm Phone Ninja would like to thank everyone who turned up to to our Virtual Reality 4 Charity ‪‎fundraising‬ event! 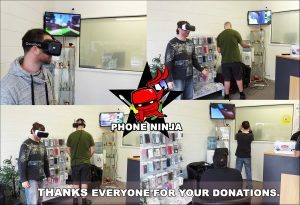 Over $100 donated‬ to help sick children and Telethon7 Perth . Much appreciated! Modular phones are now a reality with the announcement that Google’s “Project Ara” will ship late this year. 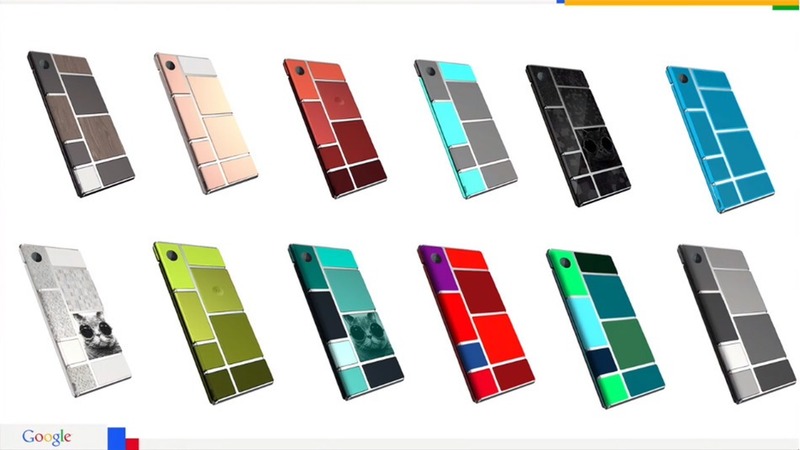 By modular we mean that Google is hoping to build a phone where you can swap out parts like lego blocks. Want to slide in a more powerful speaker? Why not? Want a bigger battery? Go for it! Sounds cool, but would you buy one? Did you know that repairing your cellphone is better for the environment than buying a new mobile? Excited to have your phone repaired? 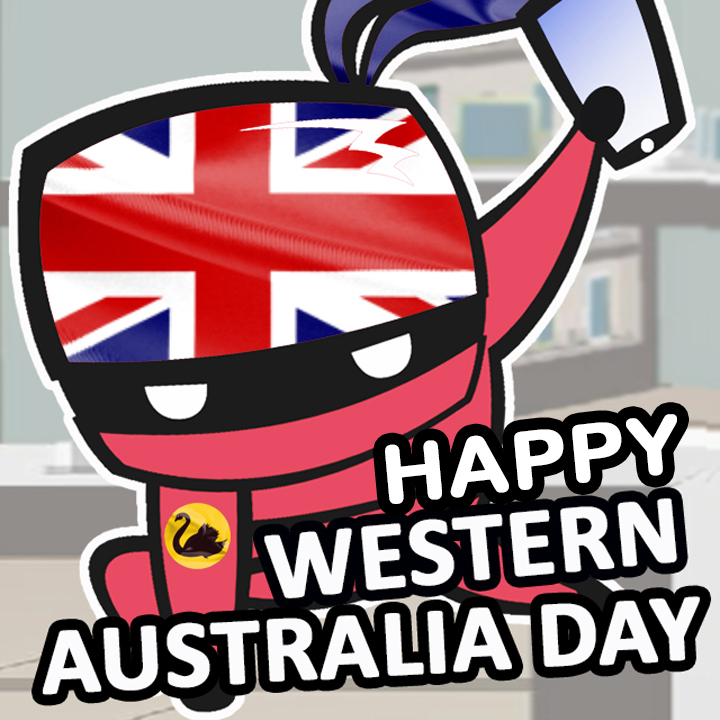 Don’t forget that today (Saturday) is the last day you can get your phone fixed (for a few days) because we will be closed on ANZAC Monday. Of course we will back open on Tuesday 26th April at 9am, sharp! The Virtual Reality Age for Mobile Phones is Now! Thurs 24th Mar — 9am – 9pm NORMAL HOURS Fri 25th Mar— Good Friday – Closed Sat 26th Mar — 9am – 5pm NORMAL HOURS Sun 27th Mar — Easter Sunday – Closed Mon 28th Mar — Easter Monday – Closed Tues 29th Mar – 9am – 6pm – Normal Hours Resume Labour Day Trading hours. 16th Feb 2016 Please DO NOT set time and date on your iPhone back to 1 January 1970, it could Brick your iPhone making it not usable. If you have some how come across this issue, bring your phone in and in most cases we can get it going again. Also some apps have malicious code that could also cause this issue. To be totally safe turn off auto date and time. New iPhone Around The Corner? In this video we show our users the three most common reasons why they would lose their reception & signal after a repair. Click here for our Shocking secrets to why your iPhone 4 lost signal after repair. iPhone 4 Camera Issues Solved, Teardown Video! Samsung Galaxy S4 Repairs – Glass Screen Only Fixes The team at Phone Ninja have done it again, offering Galaxy S4 glass screen repairs. To be eligible your I9507 / i9505 touch & LCD must be working, and only the glass can be smashed. 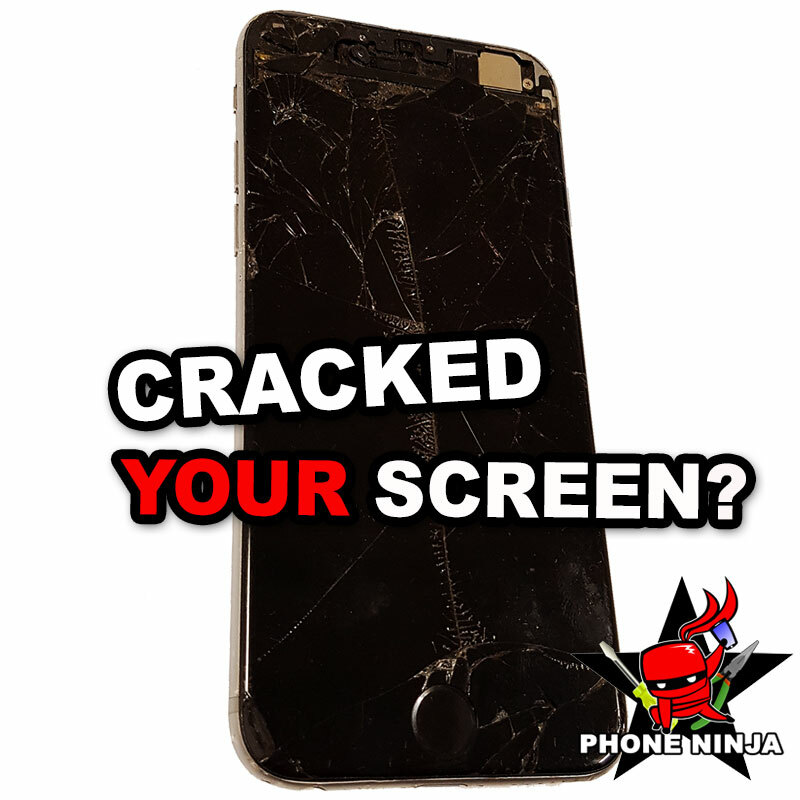 Of course if you have also smashed the LCD then we have the option of replacing the entire LCD screen assembly with frame. Please note however we have an extremely limited stock of Galaxy S4 screens, so get in quick! Google LG Nexus 4 Repairs – Screen Refusing Now Available We have added LG Nexus 4 screens to our constantly expanding list of screens we can refuse. This basically means if you have smashed your Nexus 4 E960 touch / glass screen, then we now offer you a cheaper repair.. Of course if you have destroyed the LCD (the part that displays the picture) then we can replace the entire screen assembly. Galaxy Note & iPhone 5 Repair – Touch & Glass Refusing Now Available The team at Phone Ninja have done it again! 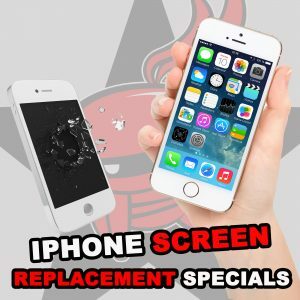 Not happy with just refusing Galaxy S3 & S3 4G screens we are now offering replacement touch screens for iPhone 5, and replacement glass screens for all Galaxy Notes including Note 1, Note 2, and Note 2 4G at a fraction of the cost of the full screen! So what’s all the fuss about? Well in the past these screens were considered one piece because the touch / glass is fused to the LCD panel meaning any damage to the glass or touch would mean the whole screen would need to be replaced. 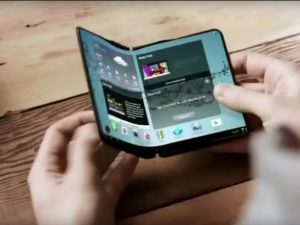 With the new method we can now replace just the glass in the case of Samsung screens or the touch screen in the case of the iPhone 5 saving you big. 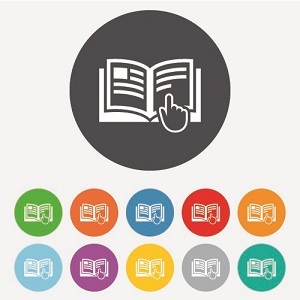 Check the relevant pages for pricing info & more details. Galaxy S3 i9300 Repairs – Glass Replacement We can now replace just the glass screen on your Galaxy S3 i9300 or even S3 4G i9305 all professionally repaired a new frame! This is great for those who have a working screen but have smashed the glass lens as in the past this required a whole new screen to be installed. In addition we do the job right in a dust free environment which eliminates specs and dust particles that are all too common with non-fused screens. 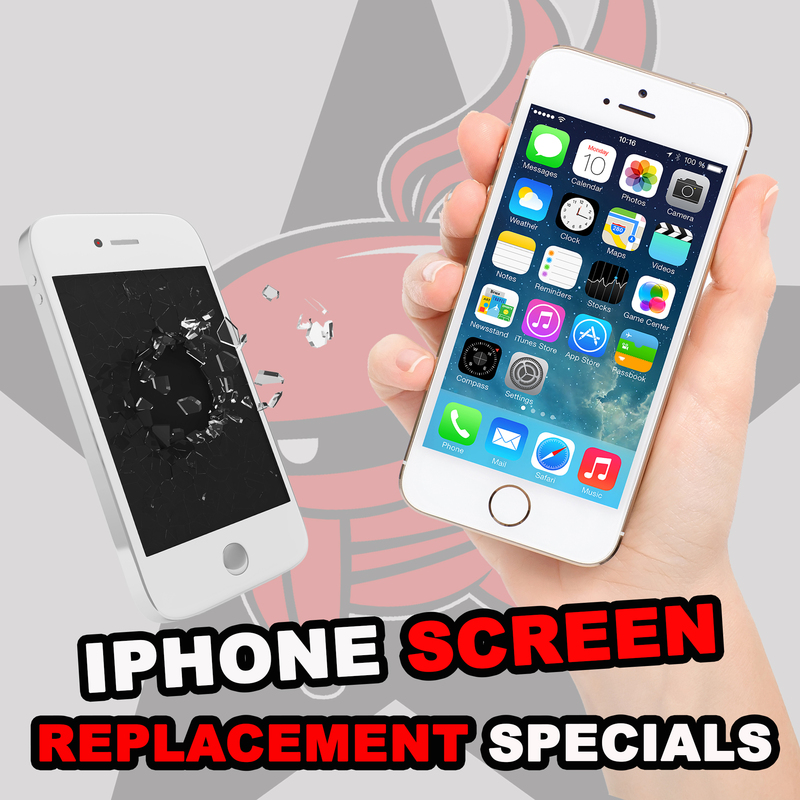 We also replace the frame / bezel which is the part around the screen as this is often damaged by customers when the phone is dropped. 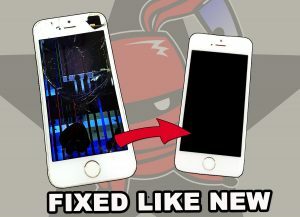 iPhone Fix Services We fix more iPhone 3G, 3Gs, and 4G than any other mobile. Some common iPhone problems you may experience include a cracked touch screen, a broken LCD, issues with a battery, water related damage, or recovery from a software problem. 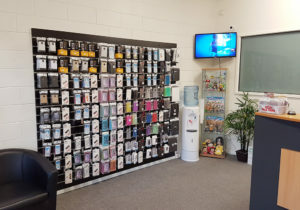 On top of these fixes we also specialize in iPod repair including the iTouch, and also offer a iPad repair service making us possibly the most versatile Apple repairer in Perth West Australia. 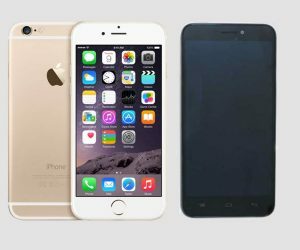 Mobile Phone Water Damage Repair Phone liquid damage is one of the most difficult tasks a cell phone repairer must approach. Sadly most approach liquid ingression repairs on the cheap using run of the mill isopropyl alcohol baths that do little to shift the corrosion, yet alone deal with the corroded solder points that require reflowing. 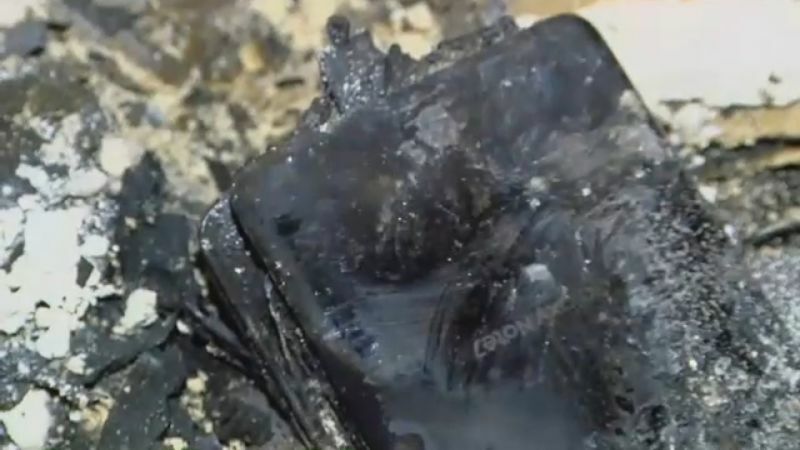 With all Phone Ninja’s water ingression fixes we use a state-of-art Ultrasonic cleaner with varying grades of proprietary cleaners to match the degree of corrosion present. Please note for our water damage service we charge a $40 upfront quote fee payable cash, eftpos, credit card, or direct bank desposit. This fee is only charged on liquid ingression repairs and is put towards any repair charges. Have Your Phone Unlocked Here Our phone unlock service is available for those on Telstra, Optus, Vodafone, 3, AT&T, T-Mobile, Virgin, & Orange among others on a variety of mobiles including Nokia, Apple, Panasonic, HTC, Samsung, Blackberry, and of course many more. This service allows you to use a sim card on a mobile locked to another carrier. We also offer a iPhone jailbreak service which gives our customers the ability to run uncertified Apple apps as well as opening the door to unlocking Apple’s mobile. Our jailbreaking service is also available for the iPod Touch and the iPad as well. 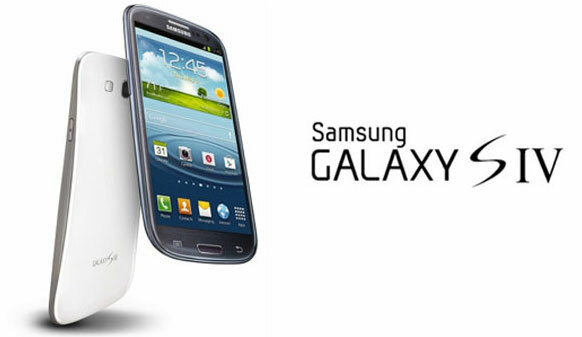 Samsung Galaxy S4 released in Australia on April 23 with only Quad cores Samsung are rushing the Galaxy S4 to market skimping out on the Australian i9500 version by using the quad-core 1.9 GHz Snapdragon Series 600 processor by Qualcomm rather than the octa-core (8-core) Samsung Exynos. Samsung will launch the phone on April 23rd, thankfully with 4G LTE coverage as standard. So the question is whether it’s a good idea to grab the phone straight away or wait for the faster 8-core version? 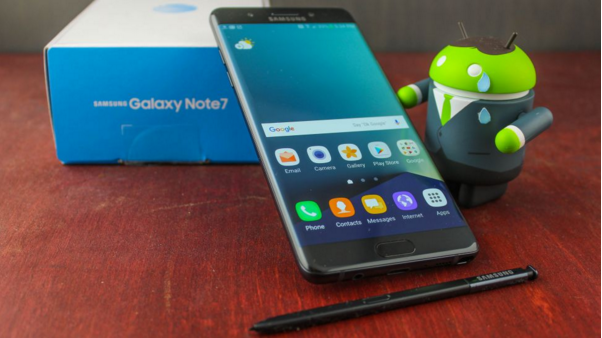 No matter what your decision as soon as the Galaxy S4 repair parts become available, Phone Ninja will be your one-stop shop for all your Galaxy S4 fixes. 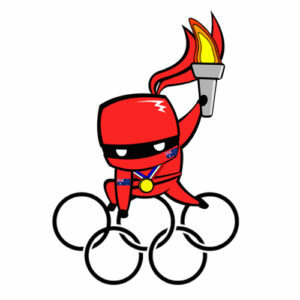 We’re now on Google+ … Yeap we guessed not only are we on Facebook & Twitter, Phone Ninja now even has a Google + page. 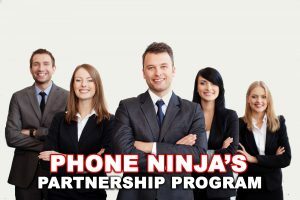 So for news, information, events, and specials jump onto our Ninja Google+ page by clicking on the sidebar link on the left Cell Phone Repair At The Ninja our specialities include covert operations, espionage, and repairing your mobile phone. We fix all the major brands including the Galaxy S, N8, N97, HTC HD, Desire, Xperia X10, and plenty of others. 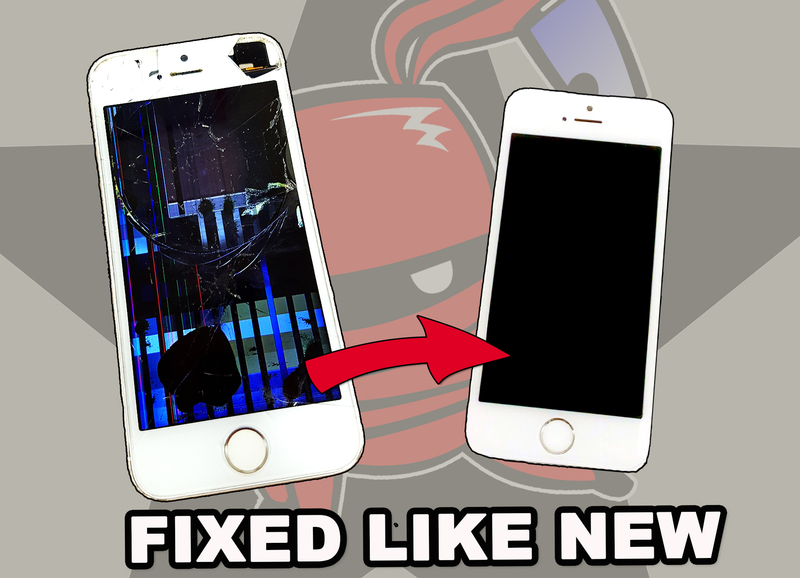 Common repairs we encounter are similar to iPhone problems and include digitizer replacement, LCD replacement, water damage removal, as well as sourcing & supplying batteries for all cells. Yeap We’re On Facebook We have integrated our site with the popular social networking tool Facebook as everyone is on Facebook these days. We are quick to realize however that Facebook should not be confused with Salesbook. So instead of those droning sales pitches, we endeavour to bring you news, exclusive articles, and events. To join click the like bar in sidebar to your left. Twitter News Feed We have also integrated our website with Twitter in order to provide an up-to-date real time news feed for all those things happening in the world of Phone Repairs & Unlocking. Click the follow us on Twitter link in the sidebar to the left to head to our exclusive news feed. 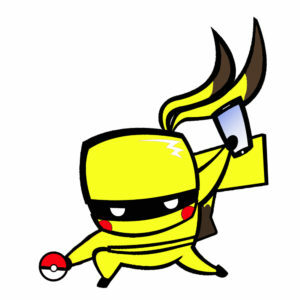 iPhone 4S Unlocking coming soon to Phone Ninja – Unlock your iPhone 4s iPhone 4S unlocks will still be available thanks the official Gevey Team. Please note in order to unlock you must keep your iPhone 4s at IOS 5.0 or IOS 5.01 so be careful not to update on iTunes. iPhone 4 Unlock Method – GEVEY Ultra NO LONGER OFFERED To date iPhone 4 users have been left in the dark with no options to unlock their iPhone. Our GEVEY Ultra package unlocks all iPhone 4 models to date including those who are on the previously unlockable 1.59, 2.10, 3.10.1, & 4.10.1 basebands. Put simply the Gevey is a SIM-Card holder that hardware unlocks the iPhone. The new Ultra edition supersedes the original Gevey as the Ultra no longer requires assistance everytime the iPhone drops out of coverage. As a jailbreak is also required firmwares up to 4.33 are no issue whatsoever but IOS 4.34 & 4.35 are either a tethered jailbreak, or in some cases can be rolled back to an earlier IOS for a full jailbreak. iPhone IOS 4.34 Tethered Jailbreak Released RedSnow 0.9.8.b3 allows Apple’s IOS 4.34 & 4.35 firmware to be jailbroken. Unfortunately at the moment the release is tethered only which means if your iPhone runs out of power you need to reboot with Redsnow. Please note an untethered jailbreakable solution for IOS 4.33 and lower is available so if you want to unlock, don’t update. Disclaimer: Opening any electronic device will void your warranty, may damage your device, and may cause harm to yourself. We are not liable for any damages.